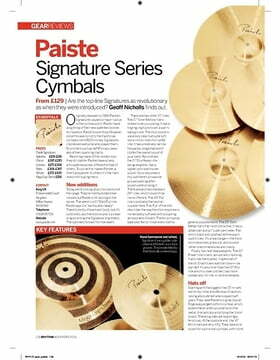 As always paiste has delivered with this range of cymbal. Top quality, very clear full sound. Really it is as hey describe in their description. Much livelier than the 2002 range and they in themselves are fantastic. It doesn't need much to get it to open up either. 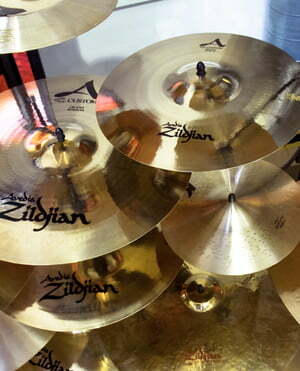 Highly recomend this cymbal range for all types of music. It looks great too. 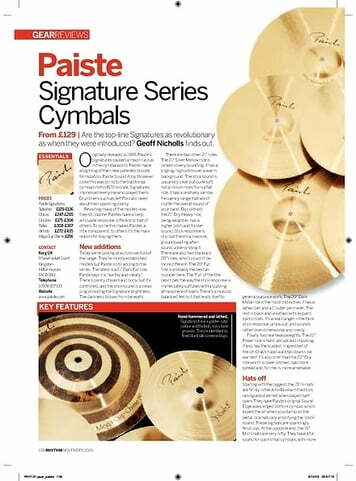 Paiste is consistent with their products. All in all, I love playing this cymbal range. Excellent. 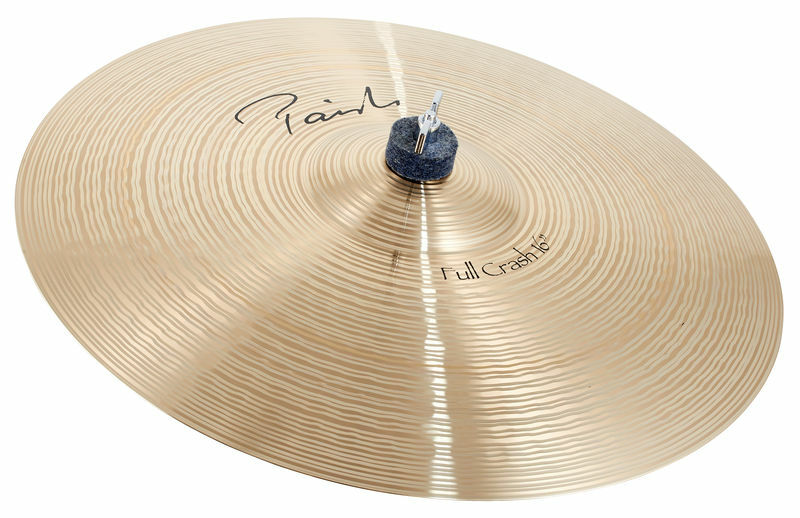 A nice bright crash sound with warm depths and a shimmering sustain to combine well with the Signature Mellow Crash 16 "since this is somewhat deeper. I have ordered this crash without an estimate (mostly I like spontaneity more) of course the price, okay, but not for the small purse thought, however, who value on good basin sound is well-served with the Signature series. Of course, it is also always taste. On the whole, I am very satisfied with class crash. ID: 133498 © 1996–2019 Thomann GmbH Thomann loves you, because you rock!